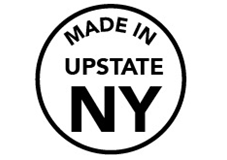 For purchases here on the Zipfy USA store, we ship product from our warehouse in Buffalo, NY to the consumer’s designated address via UPS Ground. We use a flat rate method for applying shipping costs to every purchase. Flat Rate: $5.00 per order, plus $5.00 per item ordered. Orders over $100 receive free shipping.